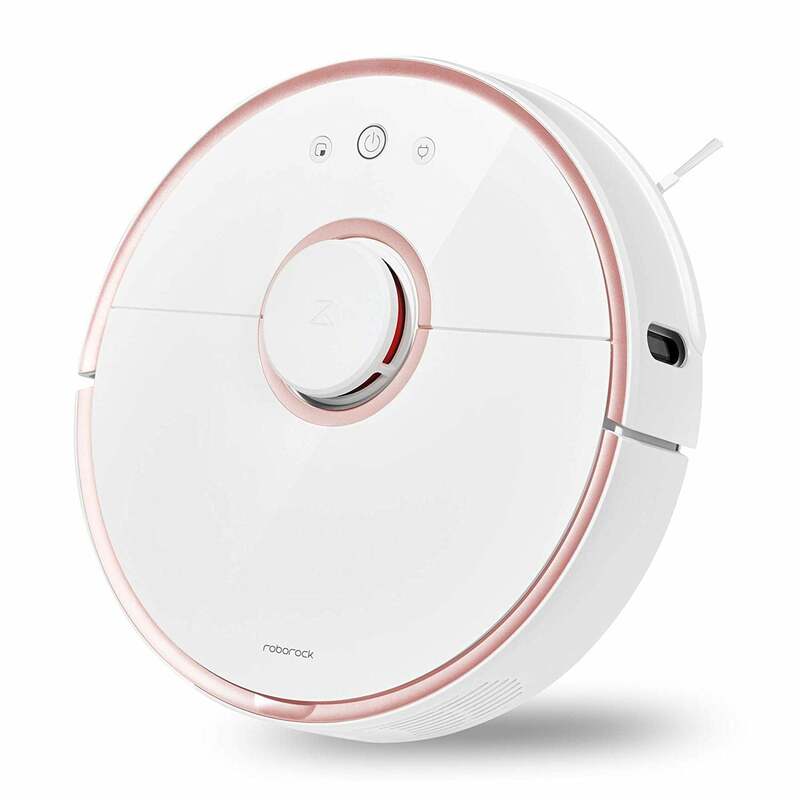 Roborock is offering a discount on their Rose Gold-Roborock S5 Robotic Vacuum And Mop, which originally costs $569.99 but you can get it for $415.59 with code ROCKROBOS51 (apply after coupon). Stack this promo with this amazing Amex deal here. Start from 03/26/2019 05:00 AM PST to 03/29/2019 23:59 PM PST so hurry! The Rose Gold-Roborock S5 map saving function, virtual barrier tape and forbidden zone all have been online, just draw a line or a grid on the map to avoid the target area. Specialized carpet pressurization mode can automatically identify the carpet and switch to the maximum suction to clean it. Once leaving the carpet, it will turn back to the former suction. *Note: Please turn on the Carpet mode in your APP. Anti-collision sensors emit infrared-ray to detect if there are obstacles, if so, this robot will slow down and touch the surface gently. Protect your baby, your pet and your furniture. Go back to dock charger automatically when the battery power gets low, after charging, it will resume to the leaving place and complete the entire cleaning job. *Note: Make sure your dock charger on the right place, refer to user manual.